Our Irvine Car Accident Lawyer is experienced in hundreds of cases. You are entitled to many different benefits when you get injured in a car accident. Our Irvine Accident Lawyer will ensure that you receive the maximum amount of medical treatment and compensation from your accident case. Why do you need an Injury Lawyer? Every year, thousands of people get injured in California. If someone negligently injures you, then they are required to make you whole. Many people that get injured decide not to hire a lawyer because they think they either do not need one or because the lawyer will be too expensive. The great thing about having an injury lawyer is that we work on a contingency fee basis. 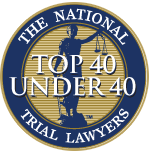 This means that you do not have to pay for the injury lawyer out of your pocket. The attorney recovers their fee from the settlement. In the end, the lawyer will maximize your settlement amount so that you can recover much more money for your pocket with no expense out of your pocket. When you get injured, our lawyer will refer you to doctors that will treat you on a lien basis. If our office recovers a settlement for your injuries, the doctors can get paid from your settlement. This would allow you to receive more medical treatment then you would have received without a lawyer because paying for medical bills out of your own pocket can be very expensive. If we settle your case, we will also work hard to reduce the amount of your medical bills so that you can recover more money for your pocket. After you get injured, the insurance company of the person that injured you will try to settle for the smallest amount possible. The insurance company may seem like they want to take care of you, but that is because they do not want you to hire a lawyer. They know that if you hire an injury lawyer, they will have to give you a bigger settlement. By hiring an injury lawyer, you will receive medical treatment at no upfront cost and net more money in your pocket for the pain and suffering your accident has caused you. If you hire a lawyer, you are making a choice that protects the interest of yourself and the loved ones that depend on you. When you are involved in an accident, you should call the police right away. If you were injured in the accident and need immediate medical attention, you should go to the hospital right away. If you still require medical attention when you contact our office, we will refer you to experienced doctors that will treat you on a lien basis. Afterwards, we will file a claim with your insurance company and with the other person’s insurance company. Your insurance premiums will not be increased if you were not at fault for the accident. In California, it is illegal to raise a person’s insurance premium if they are not at fault for the accident. We will recover the money for the damages done to your car free of charge. After your doctors release you from medical care, we will obtain all the medical records and start negotiating with the other person’s insurance company to obtain a settlement. If the insurance company does not offer a reasonable settlement, we will file a civil lawsuit for you so that you can obtain the compensation you deserve. Our lawyer has experience in handling all types of personal injuries. In order to maximize compensation from a car accident, your lawyer must be highly knowledgeable of all injuries. You need an experienced lawyer that knows how to evaluate how much future medical care you will require. Our Irvine Car Accident Lawyer is experienced in evaluating the progression of an injury as you advance in age. It is critical to recover sufficient money for your future medical care costs so that you do not have to pay for the treatment out of your pocket. People that are involved in car accidents often sustain injury, emotional distress and suffering. You are entitled to recover money for your pain and suffering. Our Accident Lawyer is highly experienced and aggressive in recovering money for pain and suffering. You need an accident lawyer in order to recover the pain and suffering damages that you deserve. Our lawyer will recover the salary you lost as a result of your accident. If you have sustained any permanent impairment, our accident lawyer will also recover money for your loss of earning ability. Our Irvine Accident Lawyer is experienced in recovering all your lost wages from your accident. Our lawyer leaves no stone unturned. Our accident lawyer keeps his clients informed throughout the case. We pride ourselves in providing great customer service. Read our testimonials page to see how our present clients rate our service. 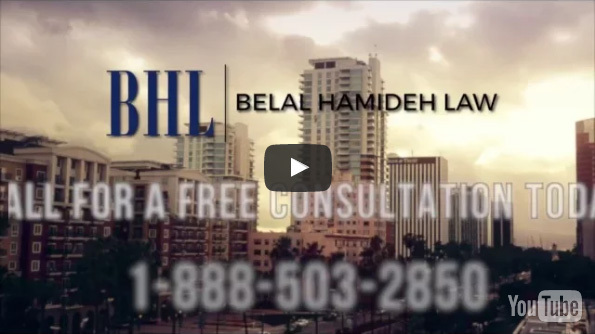 Call the Law offices of Belal Hamideh today for a free consultation. Our accident lawyer will answer all your questions.